1/ A.DJELLIT & J.FLECKINGER, Valeurs propres de problèmes elliptiques, B.U.M.I. (7) t 7-B (1993), 857-874. 2/ A.DJELLIT & A. YECHOUI, Existence and non existence of a principal eigenvalue for some boundary value problems, Maghreb Mathematical Review. Vol. 6, N° 1, June 97, pp. 29-37. 3/ A.DJELLIT & A. YECHOUI, On maximum principle and existence of positive solutions for cooperative systems, Maghreb Mathematical Review . Vol. 6, N°2, December 97, pp. 137-143. 4/ A.DJELLIT & N. BENOUHIBA, Existence de valeurs propres principales pour un problème elliptique en dimension 2, Rend. Istit. Mat Univ. Trieste. Vol. XXXI, 49-60 (1999). 5/ A.DJELLIT & N. BENOUHIBA, Existence and uniqueness of positive solution of a semilinear elliptic equation in Rn, Demonstratio mathematica, 2002, Vol. XXXV, N°1, pp. 61-73. 6/ A.DJELLIT & S. TAS, Existence of solutions for a class of elliptic systems in R n involving the p- Laplacian, Elect. Jour. Diff. Equa., ISSN: 1072-66912003, N°:56, pp. 1-8. 7/ A.DJELLIT & S. TAS, Study of some Noncooperative Linear Elliptic Systems, APPLICATIONS OF MATHEMATICS, 2004, Vol. 49, N°:3, pp. 185-199. 9/ A.DJELLIT & N.BENOUHIBA, Asymptotic estimates for eigenvalues of some nonlinear elliptic problems,Dynamical Systems and Applications. 05-10 July, 2004, Antalya, Turkey . Proceedings, pp. 310-322. 10 / A.DJELLIT & S. TAS, Quasilinear elliptic systems with critical Sobolev exponents in Rn Nonlinear Analysis. 66 (2007) 1485–1497. 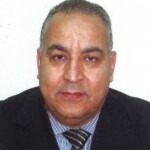 11/ H. SAKER, L. GHANEM, A. DJELLIT, M. N. BENBOURHIM. The integral equations méthode with interface decomposition for bi-harmonic. Advanced studies in cotemporary Mathematics, 15 (2007), N°1, pp.69-86. 13/ H. SAKER & A. DJELLIT, On a nonlinear boundary integral equation. Proceedings of the Jangjeon Mathematical Society. Vol. 12 N° 1, June 2009. 15/ H. SAKER and A. DJELLIT, On some nonlinear integral equation at the boundary in the potential method. Int. J. Open Problems Comp. Math., Vol. 3. N°4, December 2010. pp.123-133. www.i-csrs.org.